Contrary to these stereotypes, careers in STEM fields involve teamwork, creativity, and communication.1 They often go beyond the laboratory to address current issues our society faces. STEM teams require a variety of people with different skills in order to be successful. For example, engineering is a creative, engaging, rewarding profession where people solve problems, design solutions, and help local, and global communities. It also requires students to take science and math courses in high school before starting a post-secondary program. While the young people in your life are starting to make decisions about their future, encourage them to keep STEM options open. Finding role models that help demonstrate what STEM careers involve, and going to events that allow them to try out STEM activities (camps, workshops, open houses) challenge the dominant stereotypes, and are crucial to helping youth make informed career decisions. Encourage your child to pursue a broad range of activities and interests. Help your child build self-efficacy, not just self-confidence. Give them opportunities outside of class to try new things, and work on mastery. Be a role model to your child. Try new things. Talk about STEM at home. Consider family outings to STEM destinations, pursuing hands-on activities and do-it-yourself projects at home, and discussing STEM topics on TV or the news. Expose your child to STEM careers through role models, mentors, workplace visits, the media, summer camps, and career days. When you see stereotypes in person or in the media, challenge them. Discuss stereotypes with your child. Emphasize that each of us is unique, and have different strengths. Stereotypes do not define us. 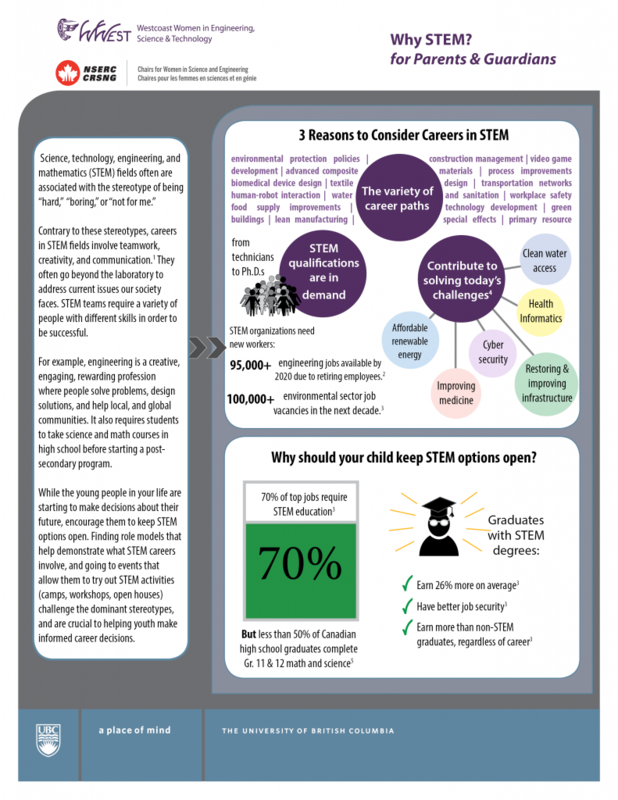 If your child appears to be opting out of STEM, encourage them to keep their options open. People with STEM backgrounds are very successful in other fields, but it can be hard to move into STEM if you have opted out of math and science in school. Overall, take the time to learn about what real STEM careers involve, and provide opportunities for your child to try them out. 1. National Academy of Engineering: Committee on Public Understanding of Engineering Messages. (2008). Changing the conversation: Methods for improving public understanding of engineering. Washington, D.C., National Academies Press.